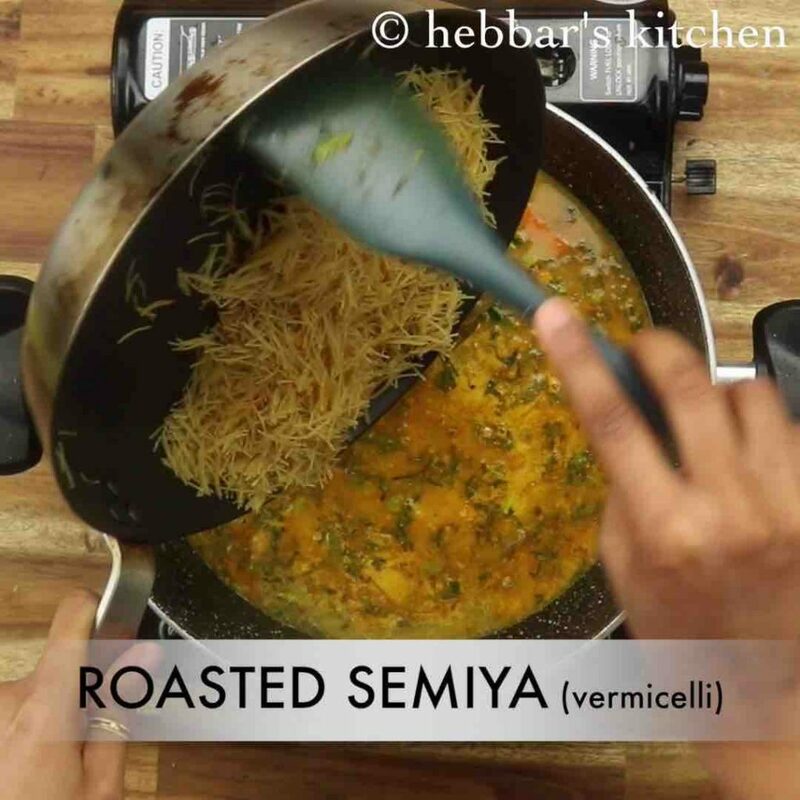 semiya biryani recipe | vermicelli biryani | seviyan biryani recipe with detailed photo and video recipe. 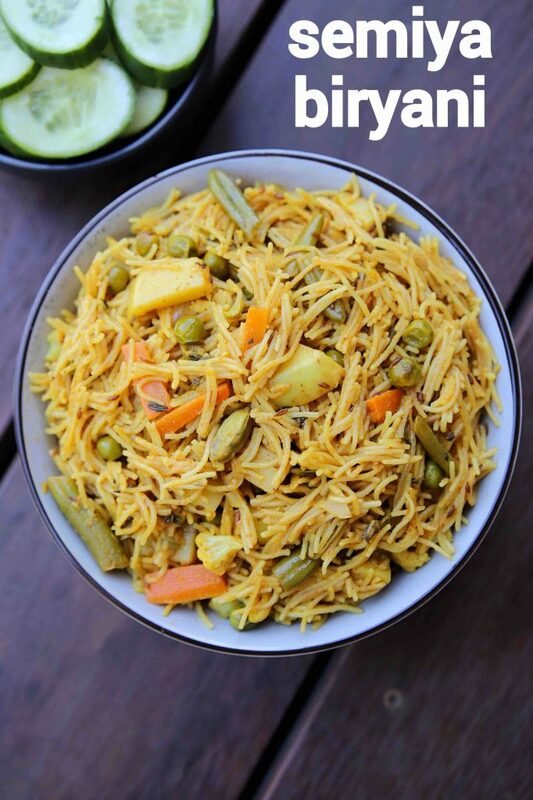 a unique and fusion recipe of biryani made with vermicelli or semiya. it can be an easy and healthy alternative for those who cannot have rice or rice-based recipe on their diet. 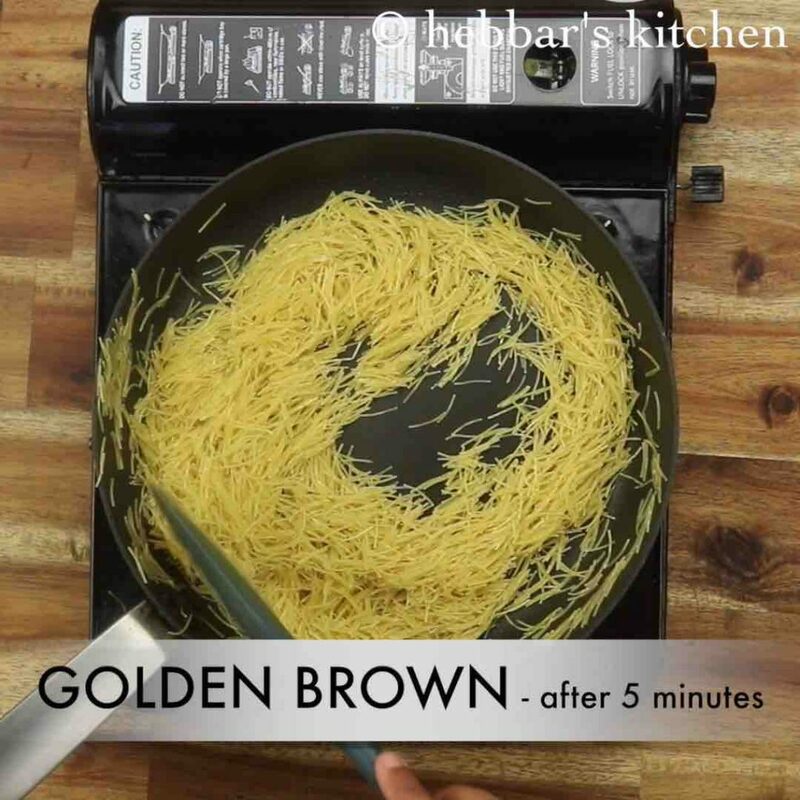 the recipe is made with the same ingredients and spices as a traditional biryani and only the rice is replaced with the vermicelli noodles. 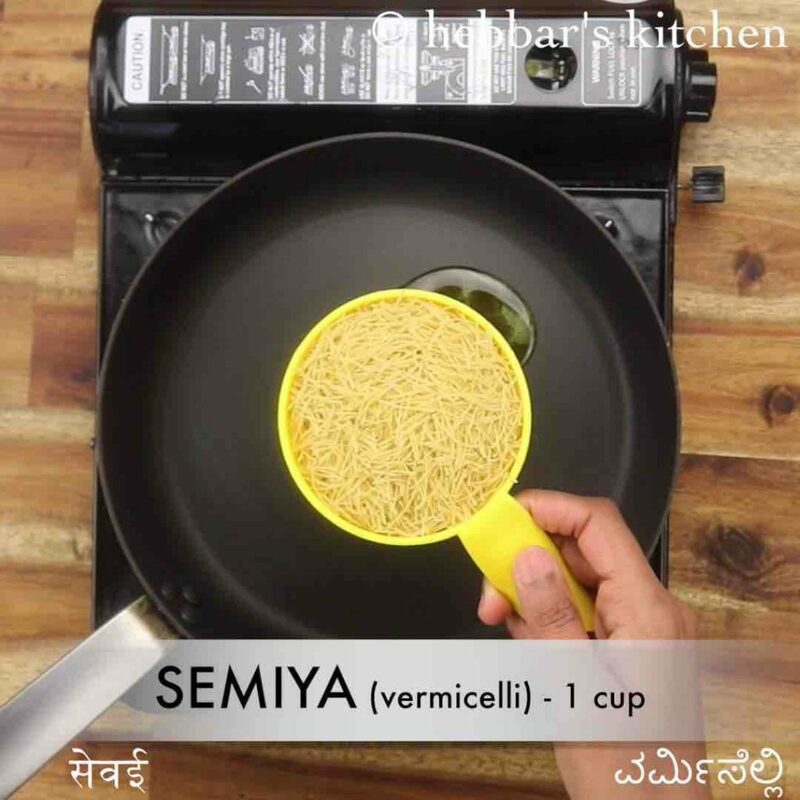 semiya biryani recipe | vermicelli biryani | seviyan biryani recipe with step by step photo and video recipe. biryani recipes are very common in india and are generally made with different rice varieties. But not all can have rice-based recipe due to the dietary requirement or perhaps other reasons. 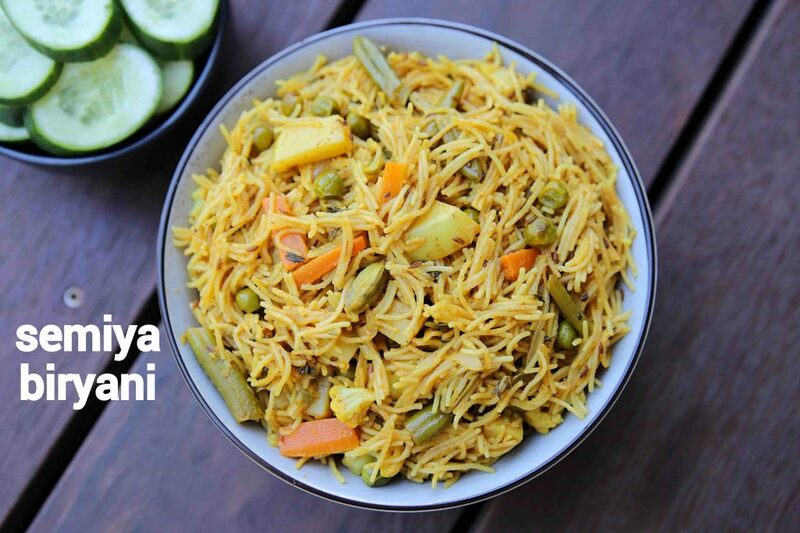 this recipe of semiya biryani is dedicated to those who desire to satisfy the biryani craving yet avoid carbs from rice. i have always been a huge fan of biryani recipes, and i personally love to cook and serve biryani to my friends and family. hence i always keep looking for new variations and ways to cook it. while i was continuously exploring, i got this fantastic idea of semiya biryani recipe from one of the new indian restaurant opened near to my place. even though i have not tasted it first hand from that restaurant, i really liked the idea and concept. as a matter fact they even served poha biryani and rava biryani which is in my bucket list for next videos. i was hoping to make this for my breakfast, but i soon realized that it is an ideal lunch box recipe. the semiya biryani recipe isn’t that complicated, but you may have to follow some tips and suggestions to make it perfect. 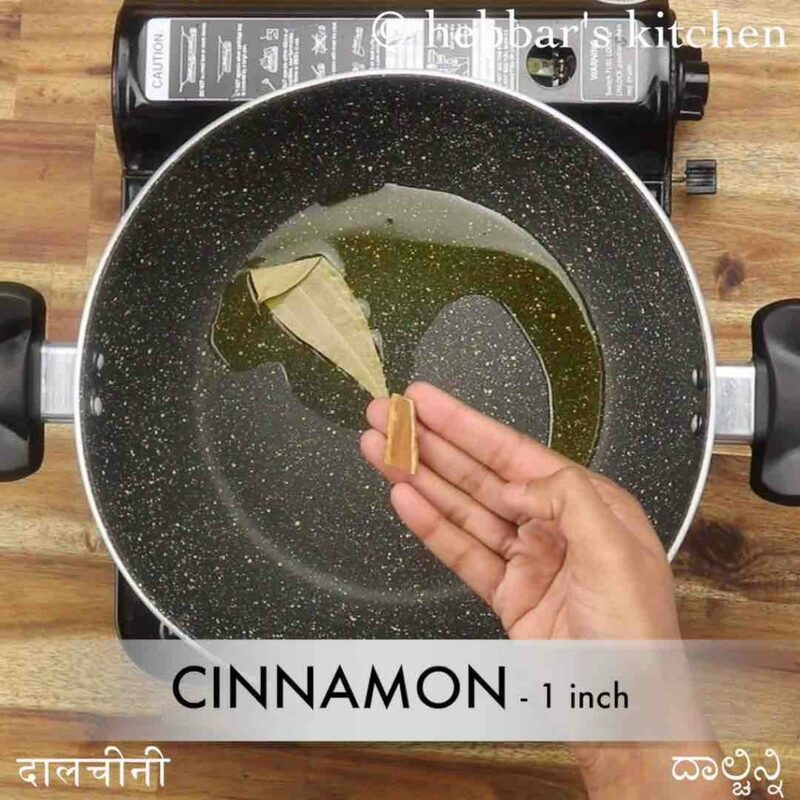 firstly, ensure to roast the semiya before you start with biryani gravy. the semiya has to cool down before it is mixed with gravy. also once the vermicelli is added to gravy it only required 4-5 minutes to get cooked. so plan it accordingly. secondly, you may want to reduce the size of veggies used for this recipe. 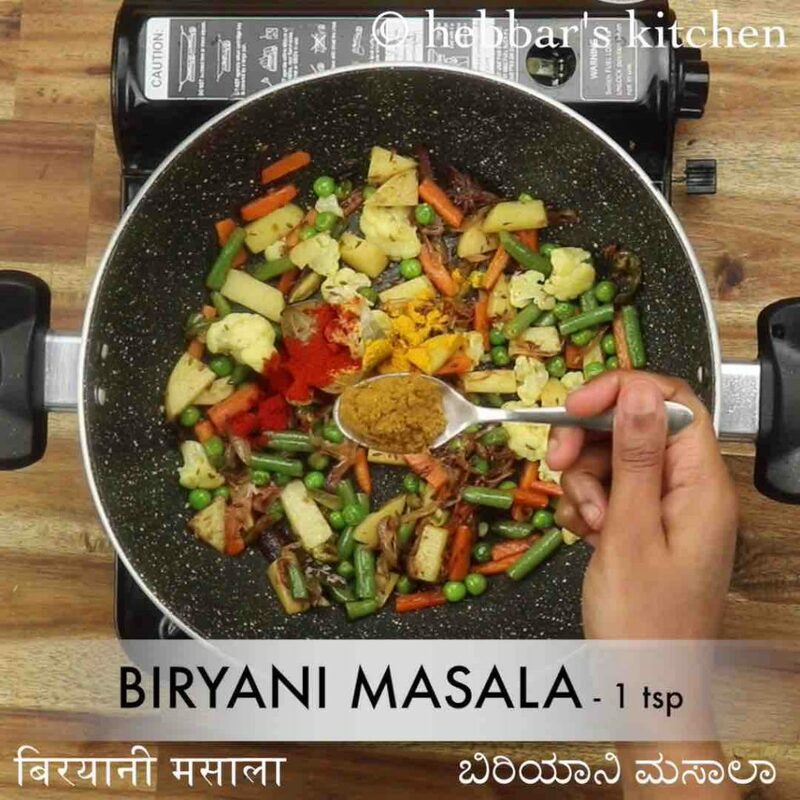 note that in rice-based biryani, veggies are chopped in fairly large size. lastly, you can also attempt to cook this recipe via dum style. you may have to boil/cook the vermicelli separately and then layer it once the gravy is ready. firstly, in a large kadai heat 1 tsp ghee and saute spices. 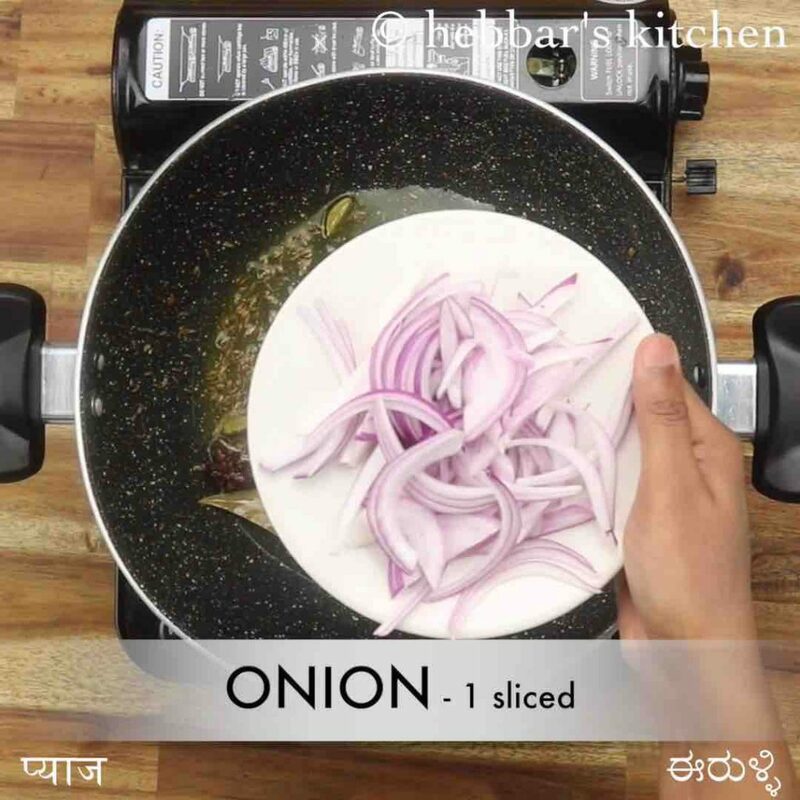 now add 1 onion, 1 chilli and ½ tsp ginger garlic paste. saute until onions turn golden brown. further add vegetables and cook well. keeping the flame on low add ¼ tsp chilli powder, ¼ tsp turmeric and 1 tsp biryani masala. 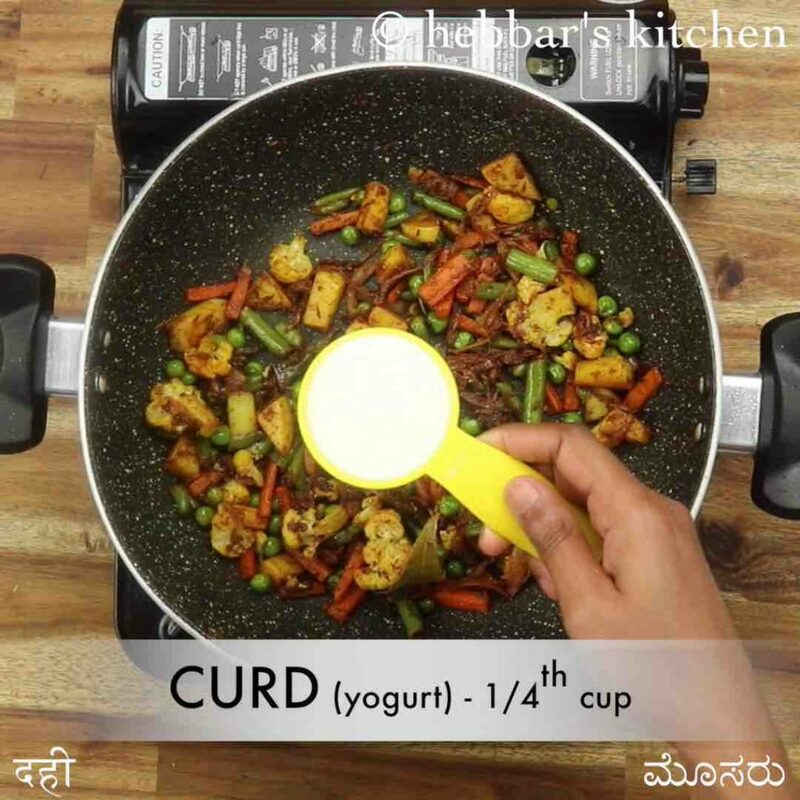 furthermore add ¼ cup curd, 2 tbsp mint and 2 tbsp coriander. add 1¾ cup water and get it to a boil. additionally, add roasted semiya and mix well. 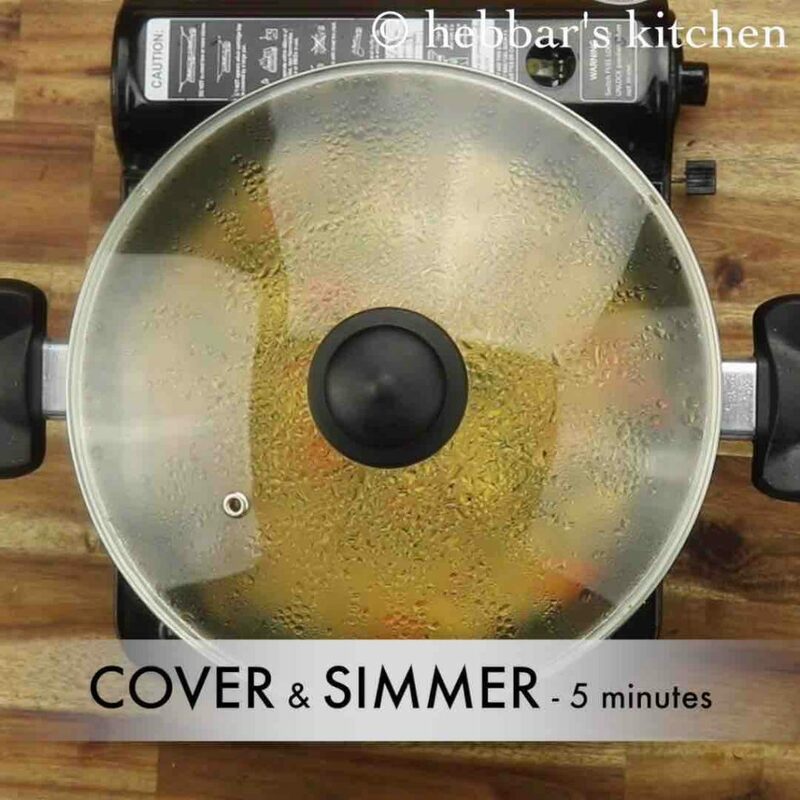 cover and simmer for 5 minutes, or until water is absorbed. finally, enjoy semiya biryani / vermicelli biryani with raita. firstly, in a tawa heat 1 tsp ghee and roast 1 cup vermicelli. roast on low flame until semiya turns golden brown. keep aside. in a large kadai heat 1 tsp ghee and saute 1 bay leaf, 1 inch cinnamon, 1 star anise, 3 cloves, 2 pods cardamom and 1 tsp cumin. 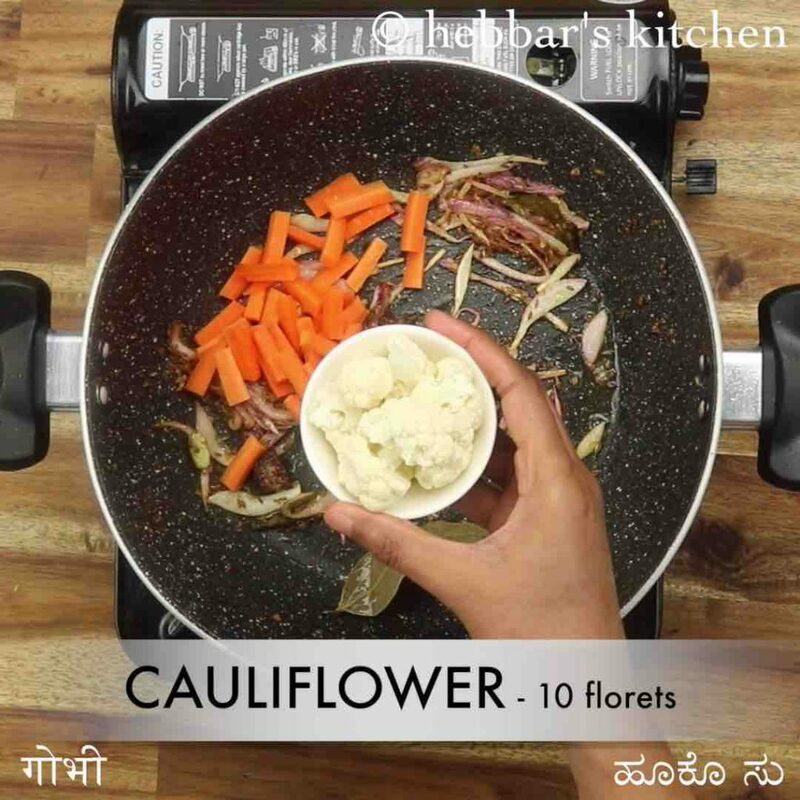 further add 1 carrot, 10 florets cauliflower, 1 potato, 2 tbsp peas, 5 beans. 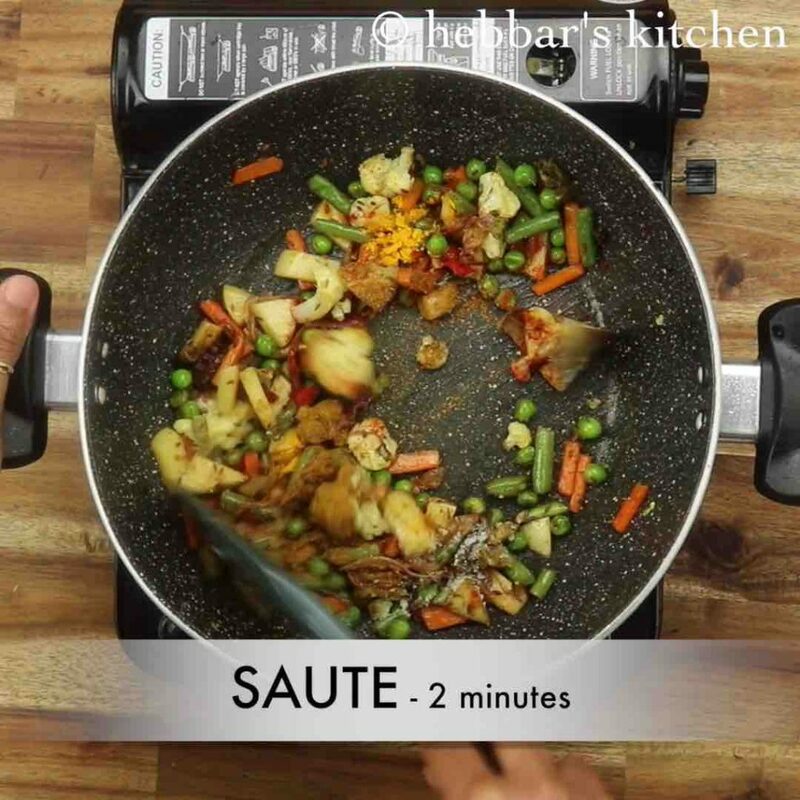 saute for 2 minutes adding ¼ tsp salt. 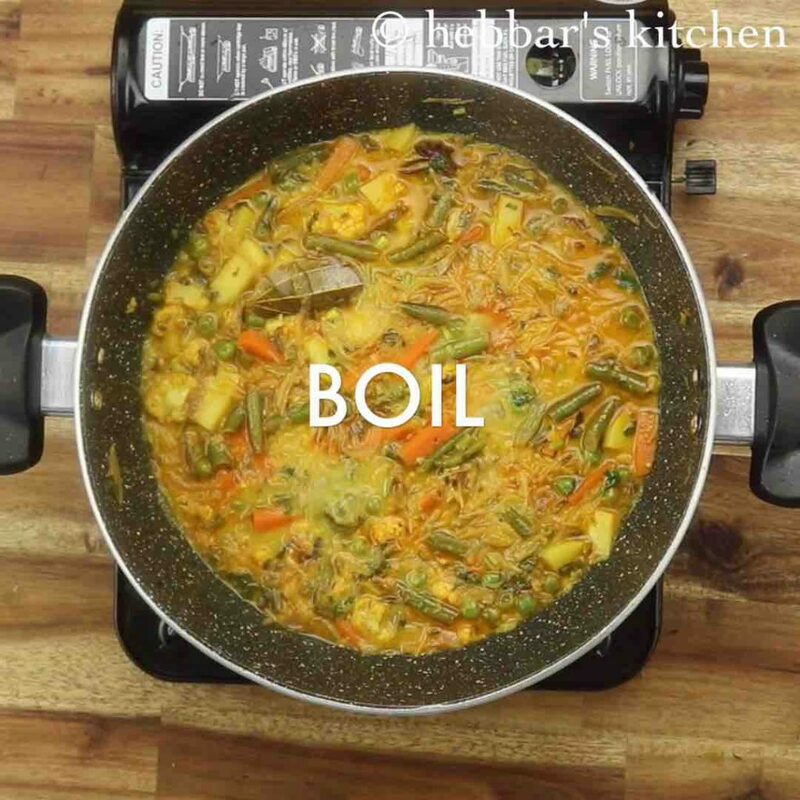 now add 2 tbsp water, cover and simmer for 5 minutes or until vegetables are cooked well. 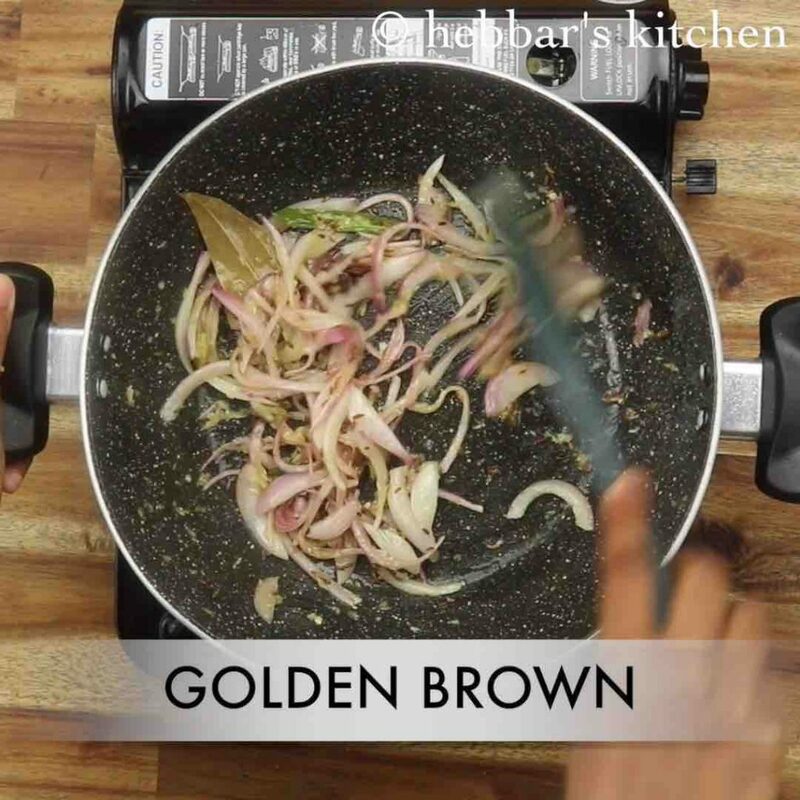 keeping the flame on low add ¼ tsp chilli powder, ¼ tsp turmeric, 1 tsp biryani masala and ½ tsp salt. 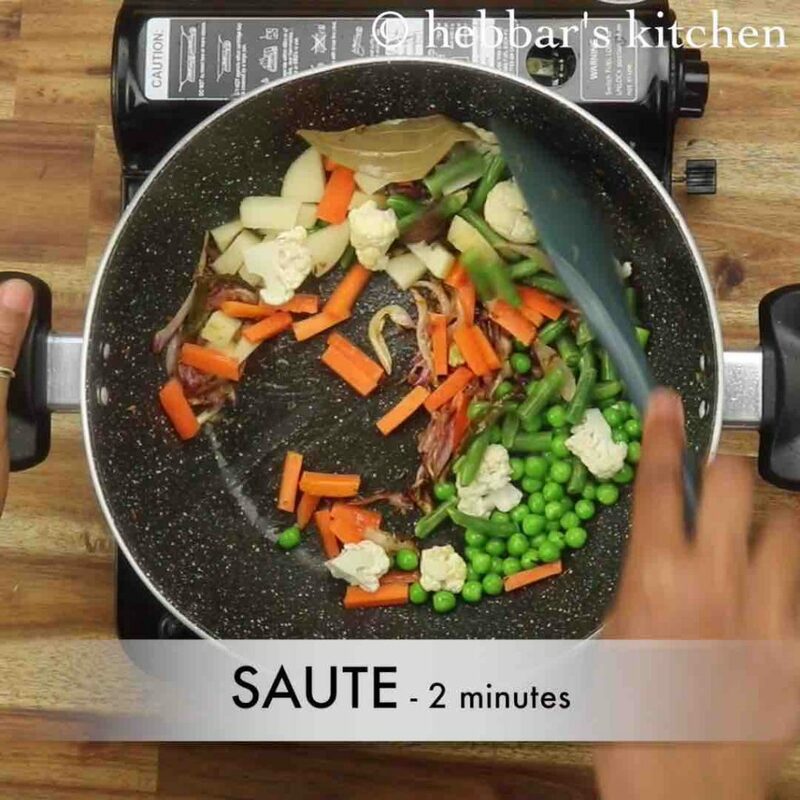 saute until spices turn aromatic. keeping the flame on low, saute well until the curd is well combined. additionally, add roasted semiya and mix well. 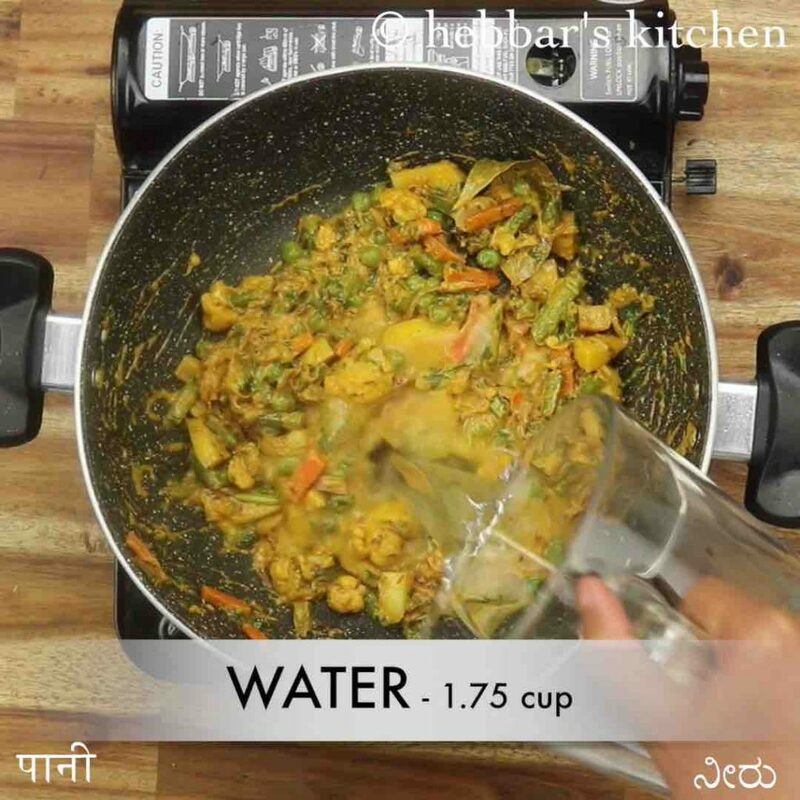 add semiya only after water comes to a boil. get the water to a boil again. 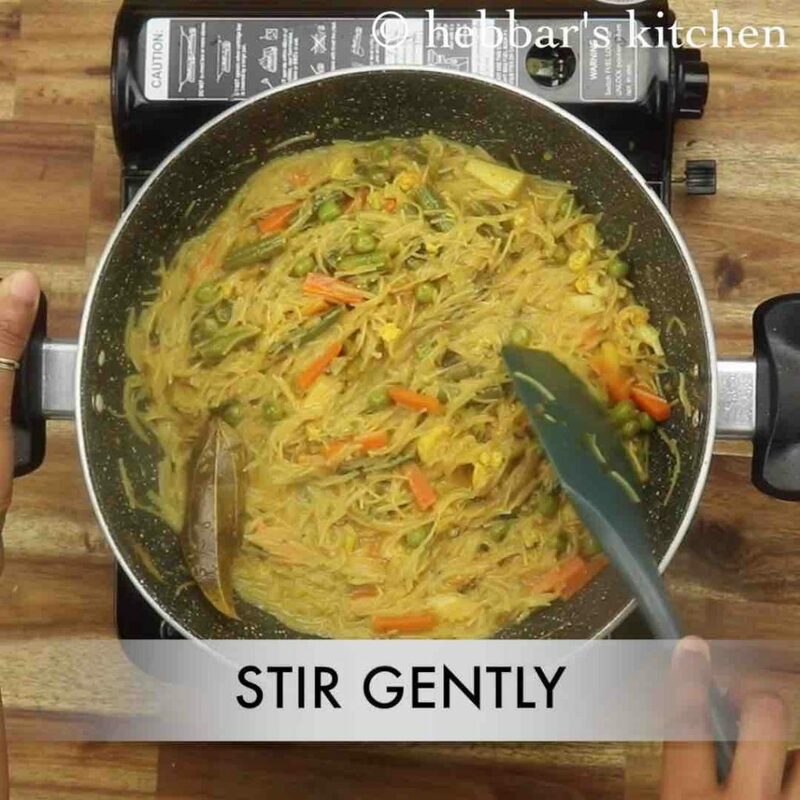 mix gently, without breaking semiya. 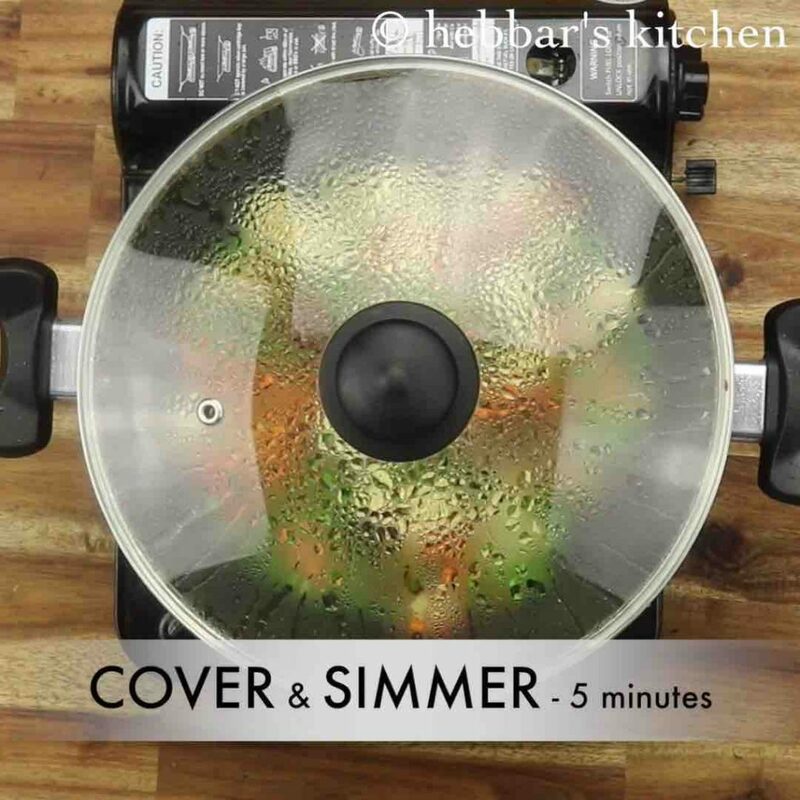 now cover and simmer for 5 minutes, or until water is absorbed. turn off the flame and rest for 10 minutes. firstly, if using roasted vermicelli, you can skip the roasting step. roasting makes semiya non-sticky. 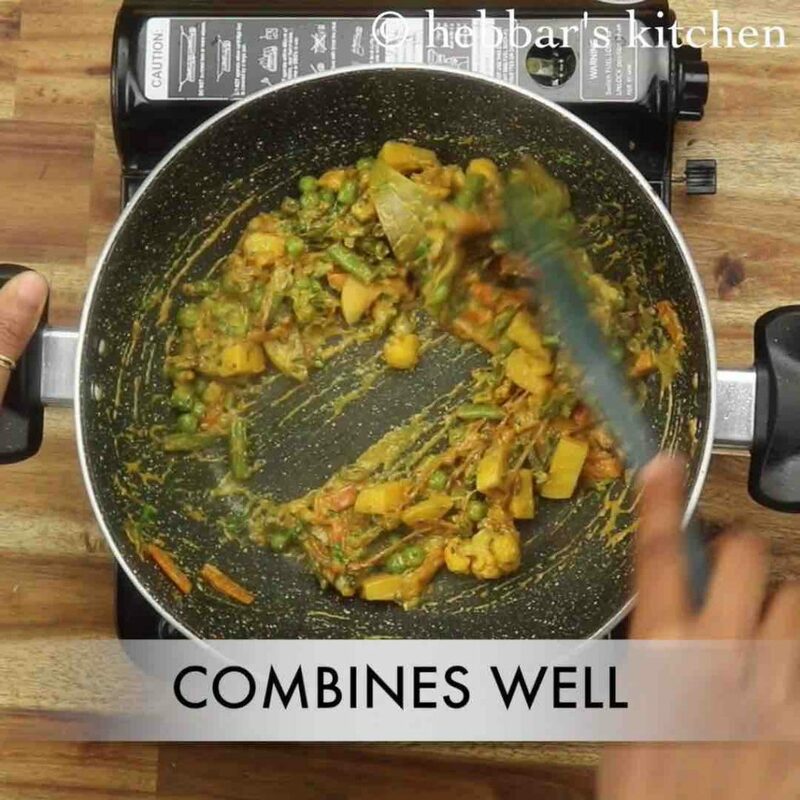 also, add vegetables of your choice, however, make sure to cook well before adding semiya. additionally, whisk the curd well else there are chances for curd to curdle. 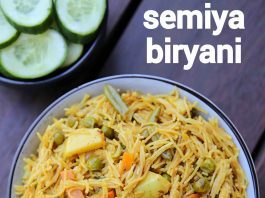 finally, semiya biryani / vermicelli biryani recipe tastes great when prepared spicy.